13th Teacher Training Workshop – February 9, 2019. 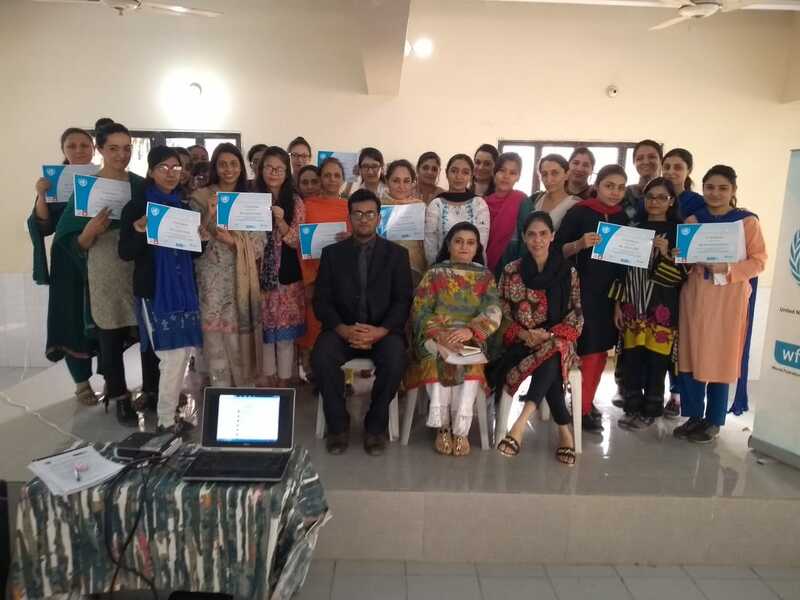 UNAP training division conducted its 9th teacher training workshop under its #SustainableLiteracyProject attended by 22 teachers of Mehran Secondary School, Campus 3, Gulistan-e-Johar, Karachi on October 13, 2018. 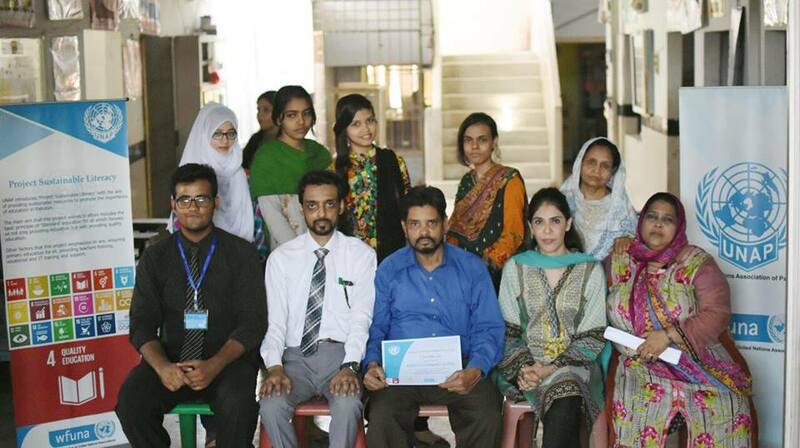 The workshop titled “Positive Classroom Behaviour” was conducted by Educationist Ms. Laila Masood assisted by Mr. Ajmal and Mr. Nouman. 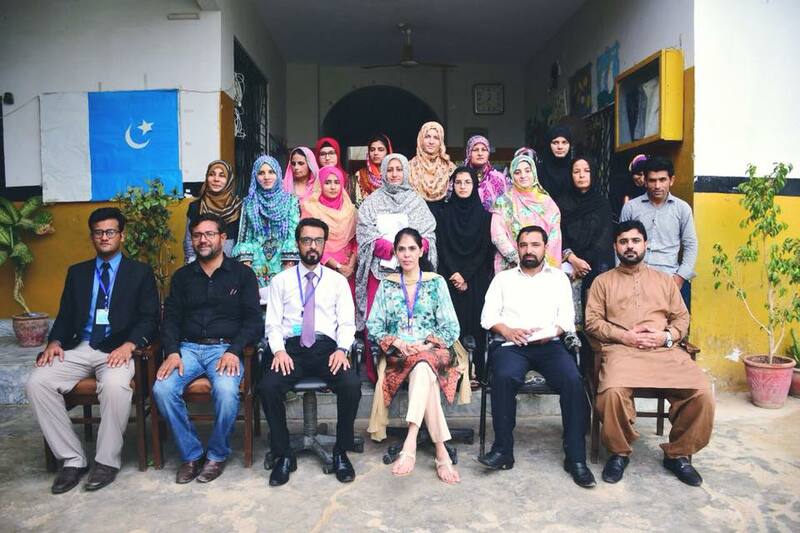 UNAP conducted its 8th Teacher Training workshop under its #SustainableLiteracyProject attended by 20 teachers of the Mehran Secondary School, Campus 3, Gulistan-e-Johar, Karachi on August 11, 2018. 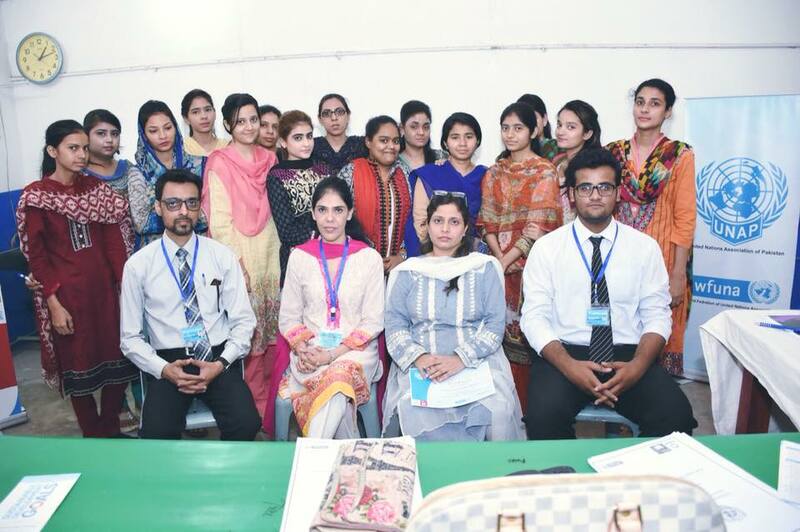 The workshop titled “Modern Teaching Techniques for English” was conducted by UNAP Educationist Ms. Laila Masood and assisted by Mr. Ajmal & Mr. Nouman. 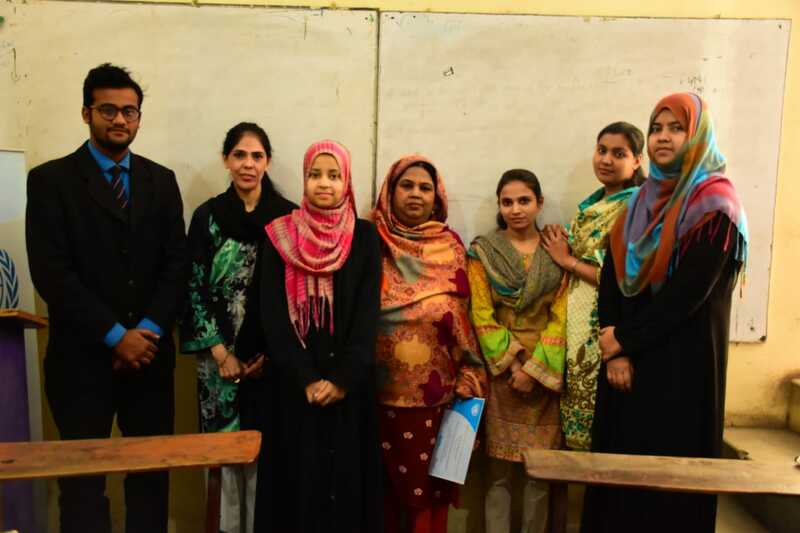 UNAP has conducted its 7th Teacher Training workshop under its Sustainable Literacy Program with 15 teachers of the Mehran Secondary School, Shah Faisal Town, Karachi. 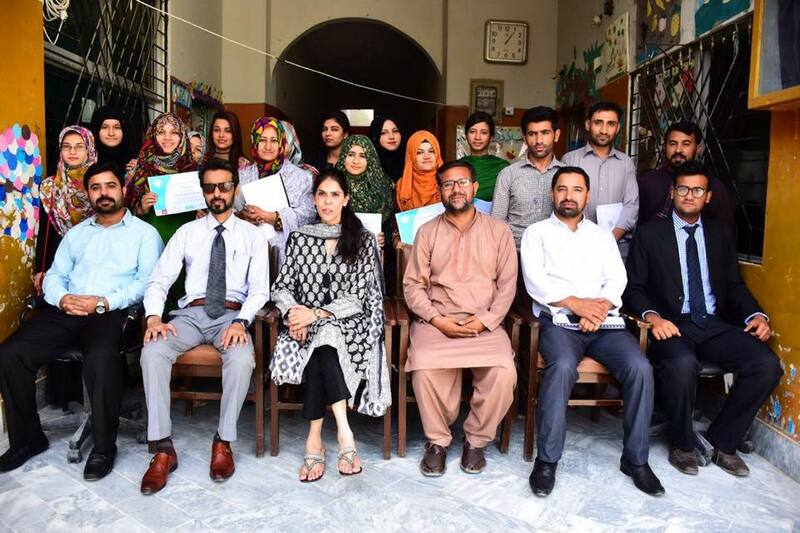 The workshop titled “Modern Teaching Techniques Part I”was conducted by Mr. Ajmal Malik (Program Manager) and shadowed by our Educationist Ms. Laila Masood. President UNAP participated in a briefing and interactive dialogue session with Jane Connors, UN Victim’s Rights Advocate. 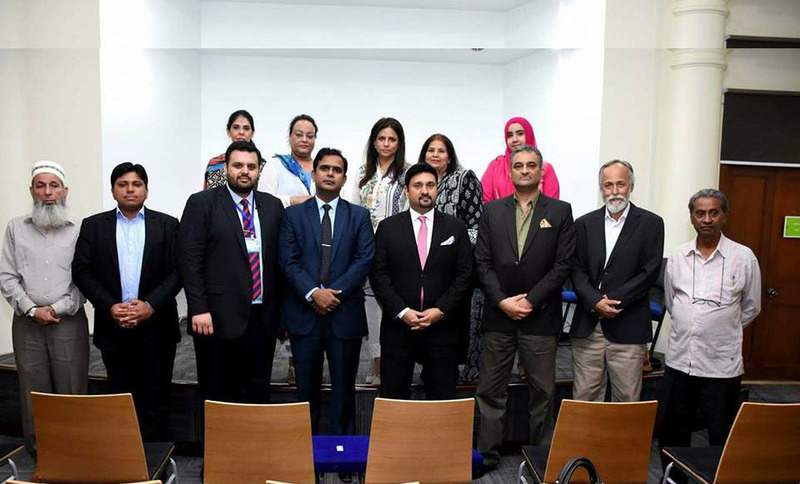 Mrs. Moohi Shaheen – President UNAP participated in a briefing and interactive dialogue session with Jane Connors, UN Victim’s Rights Advocate. Event was moderated by Bonian Golmohammadi – Secretary-General, WFUNA. 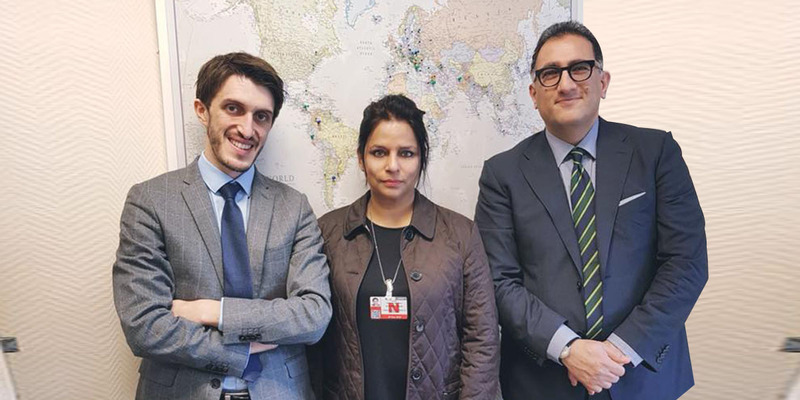 Mrs Moohi with Bonian Golmohammad (SG) and Aziel Philippos Goulandris – Education Officer & Head of WFUNA Geneva Office.